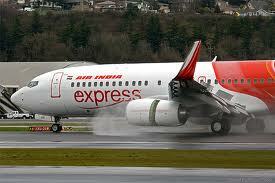 The number of Air India Express (AIE) flights from the three airports in Kerala and from Mangalore to the Gulf countries will go up from 92 per week to 119 from October 29. This addition of 27 flights per week, as part of the winter schedule of the budget carrier, would mean a rise of about 3,800 seats in the Gulf sector from October end to almost March end. According to AIE officials, it is for the first time that the airline is deploying so many services from the cities of Kerala and Mangalore to the Gulf countries after the launch of its low budget carrier in 2005.